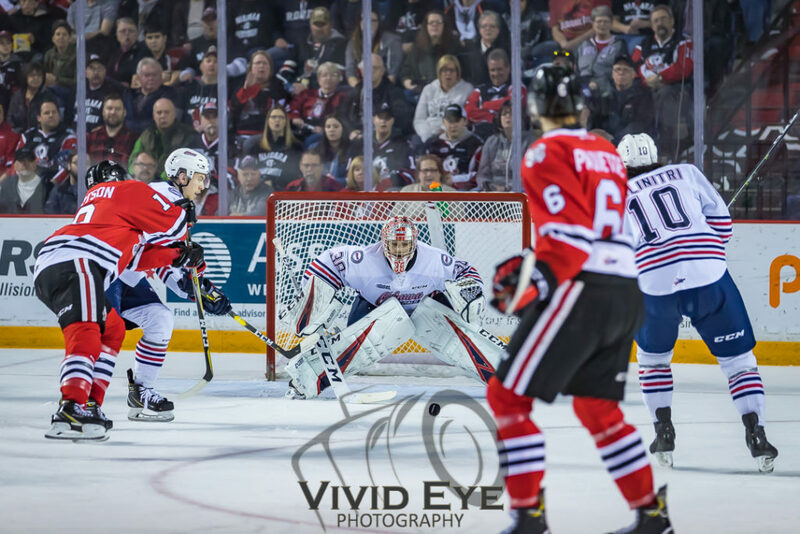 The Niagara IceDogs hit the road, for the first time this round, to Oshawa for Game 3, with a 2-0 series lead. 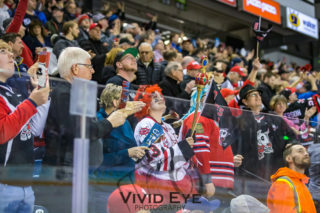 After being cheered on in the first two games by sold out crowds, hundreds of IceDogs fans made the trip to the other side of Toronto to show their ‘Dogs pride! 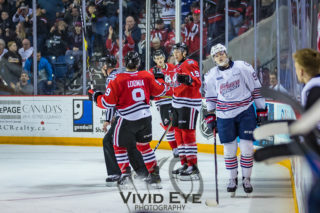 The first period was a testing period for the ‘Dogs, as the Generals laid out the most pressure from their side of the series. 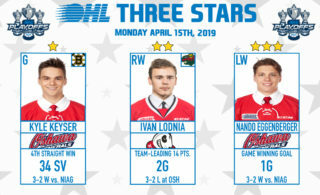 Stephen Dhillon came up big for the IceDogs, especially in tight spinning on the ground to keep the puck from sliding into the net. Niagara opened the scoring midway through the second period off a goal from Jason Robertson! Robertson outbattled the Generals defenceman and then stole the puck back as he skated around the net and slid the puck into the open cage! Robertson’s 6th goal of the post-season was assisted by two defenceman, Daniel Bukac and Drew Hunter. 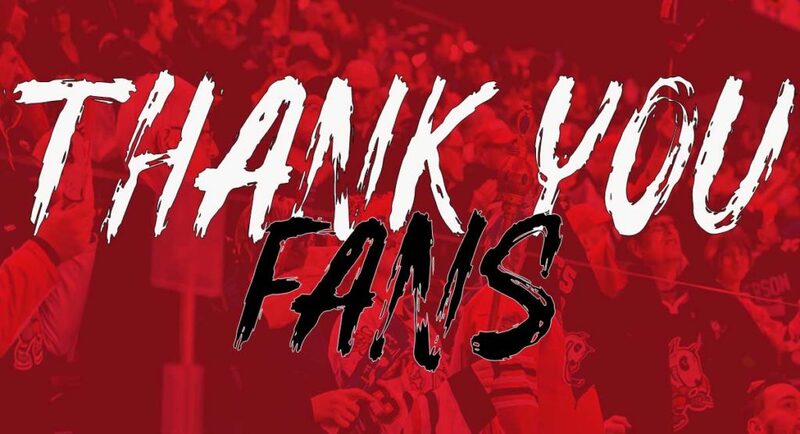 Thus far in the post-season, the IceDogs’ penalty kill had been perfect, until the Generals scored on a power play to end the middle frame at a 1-1 tie. The Gens scored three third period markers to take this game 4-1, which means we’re coming home for Game 5 on Saturday.